Dropbox is a free service that lets people bring there photos, documents, Audio and videos files available anywhere and any time all around the world and they also can share them easily.with their friends, buy using the several on line social media web sites available on the net. 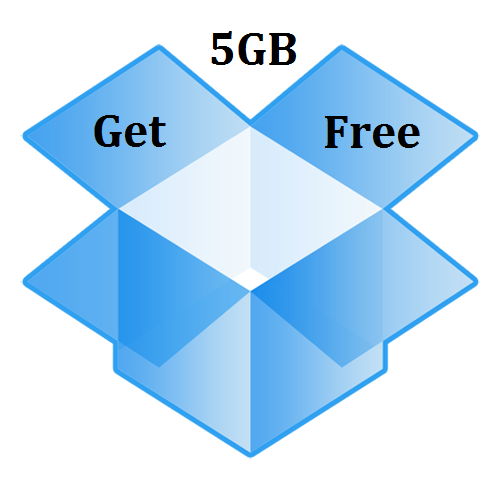 Drop box service is free for every one and if you create a account on drop box it gives you 2GB of space as free account, but if think that this is not sufficient for you then and you want more sapce for your stuffs the there is a new available in Dropbox 1.3.12 for Windows beta version. In the new version of Drop box you will get a new feature of automatic photo and video import. that will lets you to import your photo and video to Drop Box automatically. When you will Connect to a camera or smartphone, then you’ll get an option to automatically import the videos and pictures to Dropbox. To help and promoting this new feature for every 500 MB of photos and videos automatically uploaded you will receive a extra 500 MB of space in bonus, up to 5.0GB total. for your Drop Box account. 1- Just Download Dropbox 1.3.12 for Windows , and then install it to your system. 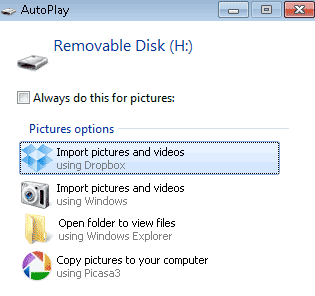 2- Then Connect to your camera or smartphone, then click on Import pictures and videos using Dropbox in the Auto Play window. Please enable AutoPlay to use the automatic photo and video import feature. if you have disabled it. And when your upload will complete you receive an extra 500 MB of free space to your Drop box account. by doing this you will get up to 5.0GB total space for your Drop Box account.